I was blessed to have grown up hunting and fishing with my father, brothers, uncles, and friends. Today, we are even more blessed in that we have raised our children to know how to shoot, kill, and even fight for their lives, which is quite different from hunting. I understand that many readers have not had these opportunities. So, without any fee, guarantee, or warranty, I bring you hedgeless_horseman's EZ Internet Guide to hunting, killing, and eating a free-range-organic-gluten-free squirrel. We will, as always, begin with the four International Safety Rules for firearms. Next, it is imperative, and most states require, that hunters take and pass a Hunter's Safety course. Also, it is great quality time for parents and children. "Who to Contact, State/Provincial Web Sites, Hunter Education Requirements, and Hunter Orange Requirements in the United States, Canada, and Mexico." 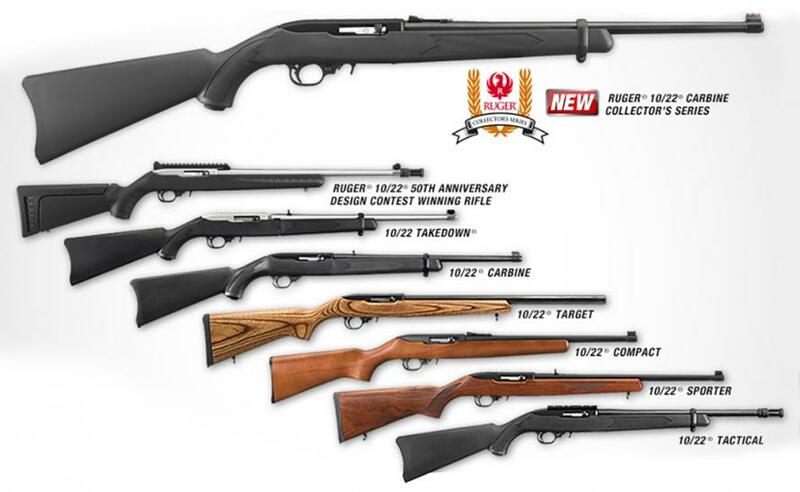 If you do not already own a .22 rifle, then I recommend you consider a reliable and accurate Ruger 10-22 carbine. They start at about $270 for new, and are widely available. At the pawn store or yard sales you can often find them, used, for less than half of that. If you or your kid are just starting out shooting, it is best to not get a scope and to first learn to shoot well with iron sights. Different ammo makes a difference. A great way to learn this important lesson is by observing the different patterns made in a paper target at varied distance by firing standard .22 long rifle rounds, versus CCI's .22 rat shot ammunition fired through a rifled barrel. In Hunter's Safety class, you should learn that a standard .22 round may travel a mile or more, and may penetrate walls, but the much lighter rat shot travels far less distances and has much less penetration capability. Depending on where you live, to hunt The King's squirrel you will probably be required to purchase a small game hunting license, each year, from The King, or the state government, depending on local nomenclature. These permits are often sold at sporting goods stores and that God-forsaken place, Wal-Mart. Make sure to also get a copy of the local hunting regulations, which should give you the legal dates and locations to hunt The King's game. Get a blaze orange vest and hat, which are often required by law, and it's a good idea to let other hunters see you. Having been shot at, I can tell you it isn't much fun cleaning the dirt and leaves out of your teeth, if you are lucky, or treating a bullet wound, if you are not so lucky. Plus, all the fashionable chicks in Paris, Texas, are wearing orange this season. Thanks to Trump, orange is the new black. Before you start hunting, you can get out and scout prospective locations such as state or national forests that are filled with squirrel. If you are out in the desert southwest, then it is a simple thing to modify and apply this article to BLM lands filled with sage brush and rabbits. Always keep in mind the need to abide by the seemingly ubiquitous hunting law: no shooting from or across a road. Yes, you are going to have to get out of your vehicle and walk! Scouting and hunting are also a great opportunity to enjoy another activity, camping out. There are many fine benefits of camping out. You might try it this weekend. One of the keys to successful hunting is understanding that most animals are more active at dawn and dusk, versus the middle of the day. So, this means you get to enjoy the age-old tradition of waking up before dawn, and the more recent tradition of coffee on the campfire or camp stove. Whether you are scouting, or hunting, practice these important life skills. Allow your hunter instincts to take over. Squirrel calls are fun to learn to use, and a great way to annoy teachers, moms, preachers, and wives, but not really necessary at this level. If and when you get the opportunity to maneuver for a shot, TAKE YOUR TIME, RELAX, BREATHE, REVIEW THE FOUR FIREARMS SAFETY RULES, and only then try to do your best. Keep both eyes open, if you can, and focus on your front sight, allowing the target - the squirrel's head - to be blurry. It is okay and expected that the sight is going to move around a bit, just make sure that it moves around over the target while you are slowly squeezing the trigger. Let the shot surprise you, and then watch where the squirrel goes. Don't take your eyes, or the gun sights, off of the squirrel. Sometimes it needs another shot. Hopefully, eventually, it falls to the ground, dead. Sometimes it is wounded. Again, TAKE YOUR TIME, RELAX, BREATHE, REVIEW THE FOUR FIREARMS SAFETY RULES, and then get down on the ground and look for blood. Follow the trail. Your brain knows how to do this, instinctively, if you simply allow it. When you find the squirrel, and it is not yet dead, then it is safer, and often preserves more meat, to not shoot it again, but rather to put it out of its misery by breaking its neck. I simply put my foot on its head and yank up on the hind legs and tail with my gloved hand. I find this is a great time to take a moment and give thanks, to God, to the squirrel, to the guy that made the rifle, to somebody or something. A thankful heart is a happy heart. You may spend days and not kill a single squirrel. This is why it is called hunting, not killing. Don't quit. Like many things, you will get better with practice. Finally, before you head out on the hunt, make sure you have reviewed the following two videos on skinning and field dressing a squirrel: God's meat banana. Don't forget your Hoffner knife! Ideally, you will also find some wild onions for your delicious and nutritious squirrel chili, which pairs nicely with a Shiner Black. Don't forget to nail that tail up on the wall in the shop. I hope you all enjoy this Father's Day weekend. I miss you, Dad, but remember all the great times we had together, "On an adventure."